Opened to the public in January 1933 by Singleton Cinemas Ltd. Designed by architect James McKissack to seat 2,000. Quite similar to his other 'Embassy' cinema. 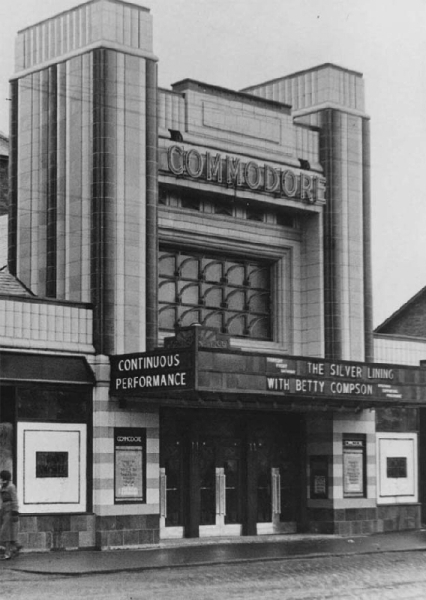 Sold to, and renamed 'Odeon', September 1936. Closed November 1967, and demolished 1976. Photo above courtesy of the Cinema Theatre Association archive. Copy of the original December 1932 Opening Souvenir Brochure here. Brochure courtesy of the Scottish Screen Archive at the National Library of Scotland.